"I'm not searching for an identity. I have too much identity." 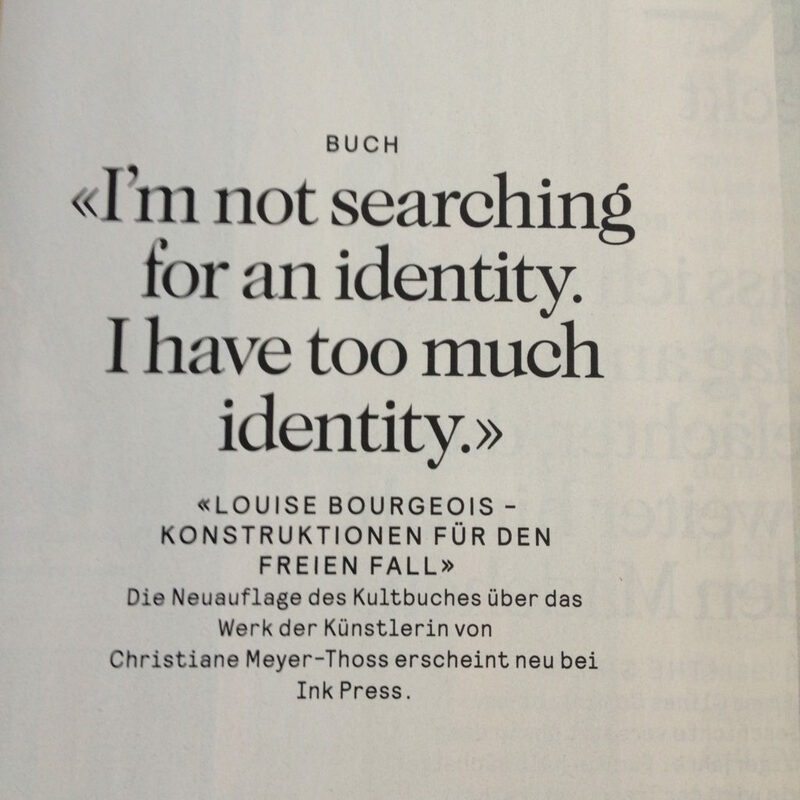 Ein Hinweis auf LOUISE BOURGEOIS - KONSTRUKTIONEN FÜR DEN FREIEN FALL von Christiane Meyer-Thoss!